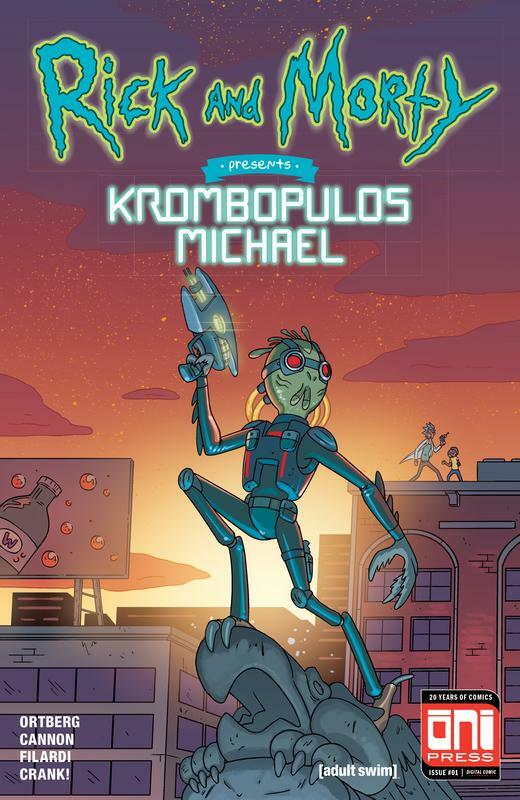 Learn the secret stories and hidden pasts of your favorite Rick and Morty characters in Oni Press's new quarterly series of one-shots: RICK AND MORTY™ PRESENTS! 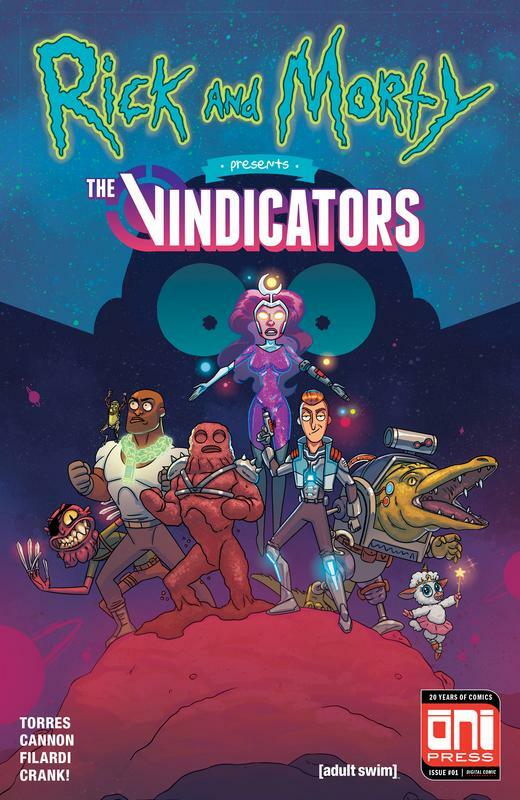 In this first issue, J. Torres (Teen Titans Go!, The Mighty Zodiac) teams up with Rick and Morty™ series artist CJ Cannon to explore the twisted and bombastic history of THE VINDICATORS in an all-out superhero comics extravaganza. Read in amazement as the superhero team travels through dimensions to recruit other heroes to defeat a villain of their own making. Gasp in shock and awe as the plot twists and previously irrelevant characters revive from the dead! Frown in frustration as you forget the complicated backstory of suddenly important mythic items! And most of all... WUBBA LUBBA DUB DUB!